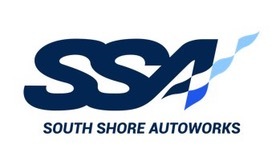 The following regulations have been approved for Porsche Club of America, Northeast Region Driver Education Events. "I understand that the technical inspection performed on my Car and my helmet is solely for the purpose of meeting minimum standards of car preparation for the Zone’s or Region’s High Performance Driving Event. No warranties or guarantees are implied or expressed by the passing of the inspection performed. I acknowledge that the safe condition and operation of my Car is entirely my responsibility. 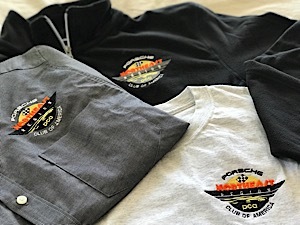 I take full and sole responsibility for any vehicle problems, malfunctions, or damage that may occur in connection with the operation or performance of my Car prior to, during, or subsequent to the Event." The NER-PCA policy of a required pre-event inspection applies to ALL participating vehicles, regardless of vehicle manufacture and must be done before each event you are participating in (in other words, one pre-event inspection does NOT cover your car for the year). NER recommends having the pre-event technical inspection done two to three weeks before the event to allow time to correct any deficiencies that are found. Except in extenuating circumstances pre-event technical inspections done more than four weeks before the event will not be accepted. For clarification, the following describes the NER-PCA pre-event inspection policy and expectations. Must be inspected by an authorized Porsche technical-inspection station. Authorized stations are listed on the web sites of the various PCA regions. Non-NER region members may utilize local region-authorized inspectors; however, the NER Tech Form must be used. 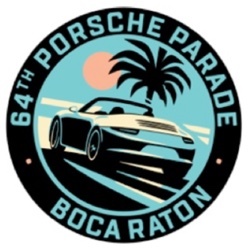 Under extreme circumstances, such as when participants live beyond a reasonable distance from an authorized inspection station, pre-event inspection by a Porsche-knowledgeable shop or dealer will be accepted, provided the NER Tech Form (new for 2017) is used. PCA-authorized inspection stations will sign the form, and apply their official stamp, indicating that the vehicle has passed the pre-event inspection. Non-PCA-authorized inspectors will sign the form indicating that the vehicle has passed all points of the inspection. The dealer or shop should stamp the form with a stamp if they have one that shows their name and address. If they don't have a stamp then please attach a copy of the receipt for the inspection to the form. Should be inspected by a shop or dealer familiar with the brand. Example: A BMW should be inspected by a BMW shop or dealer. A Ford should be inspected by a Ford shop or dealer. Non-PCA-authorized inspectors will sign the form indicating that the vehicle has passed all points of the inspection. The NER Tech Form must be used. The dealer or shop should stamp the form with a stamp if they have one that shows their name and address. If they don't have a stamp then please attach a copy of the receipt for the inspection to the form. The intent is to ensure that a consistent set of safety-inspection criteria are applied, irrespective of vehicle brand. Non-applicable inspection items, if any, may be so noted by the inspector. The pre-event inspection form to be used must be the NER Tech Form. NER reserves the right to refuse acceptance of pre-event inspections which do not comply with this policy. The driver(s) of the car must also sign the Tech Form. A list of approved PCA-NER Technical Inspectors may be obtained from this website. Use the tabs below to access the technical requirements for each portion of the car. No cracks or fractures, condition does not impair vision. Small divots or stone chips are acceptable, as long as there are no "spider" or radial cracks. At least one rearview mirror in good condition and securely mounted. Tightly closed and no leakage. No loose body or interior parts; no structural rust at or near suspension points. Assigned numbers must be displayed on both sides and rear of the vehicle. To ensure legibility by course-workers, side numbers should be no smaller than 4" in height and in a color that contrasts with the background color so that it is visible from a distance. Numbers must be those assigned by event registration and must be applied before entering the event tech inspection line. Drivers must supply their own numbers; NER will NOT supply the numbers for you. All tires must be of the same type (all standard, performance, or rain tire). Front tires must be of the same size, rear tires must be of the same size. It is recommended that they be of the same manufacturer. Mixing of soft compound performance tires and street or rain tires is not allowed. No cracks, mininmum 3/32 tread or appropriate wear bar/hole indications. No rubbing on fender lips. No cracks, bends or flaws. Any wheel, except after market cast-imitation Fuchs alloys. Carefully check older wheels for cracks at lug holes. Under no circumstances may a repaired alloy wheel be used. Proper valve stems with brace, solid metal stems preferred, valve stems must have airtight caps. No after market wheel adapters or brake dust shields are allowed. All lug nuts engaged; pay special attention to after-market wheels & Turbo Twist wheels; if using track tires, steel lug nuts should be used. Steel lug nuts are also recommended for those who change wheels. These are less likely to fatigue, stretch, and break during wheel changes. Make sure locking devices are fully engaged. Note the following recalls which must be performed on impacted vehicles prior to use of the vehicle in NER DE events. 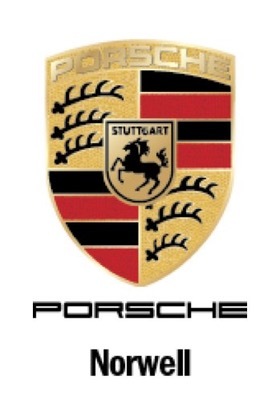 2010/2011 911 Centerlocks: Porsche is recalling certain model year 2010-2011, 911 Turbo; Turbo S, 911 GT3, GT3 RS and GT2 RS high performance vehicles, manufactured from May 18, 2009 through September 17, 2010, and equipped with center locking hub and wheel assemblies. Over time the hubs can wear prematurely. This is Porsche's safety recall No. AB01. 2010 911 GT3 Rear Hubs: Porsche is recalling certain model year 2010 911 GT3 vehicles manufactured May 15, 2009, through February 11, 2010. The rear wheel hubs may be prone to failure under certain driving conditions. Also, the original, suggested maintenance intervals may be insufficient to prevent wheel hub failure. This is Porsche's safety recall No. AC05. Proper free rotation; no looseness in hub. Minimum 50% pad thickness for one-day event. No cuts or abrasions in brake lines. No visible cracks extending to edge of rotor or between holes in drilled or slotted rotors. Cracks going from "hole to hole" or "hole to edge" or "hole to hub bolt" are cause for failing the car. No after market modified rotors. Solid manufactured rotors cannot be drilled or slotted without compromising their safety. Check 914 rear pad adjustment. With co-driver, pads should exceed minimum standard. No excessive play in steering or suspension. Any safe suspension modification is allowed. Ball joints and tie rods secure, boots and seals in good condition. 356 steering box – tight cover & lid. 900 series – tight steering rack. 944/968 - control arm ball joint tight. No dripping leaks of any fluid of any type. Any safe suspension modification is allowed. Half shaft boots in good condition; mounting hardware in good condition; no leakage. Securely fastened and in good condition. Some events may enforce noise limits. Check specific region/track requirements for each event. All batteries must be securely mounted. "Bungee" cords are not allowed. Batteries replaced with smaller units must use proper metal clamps. Twin battery 911 models must use factory or suitable replacement straps. No acid leaks or corrosion. Check fuel lines under 914 battery tray. All engine belts must be in good condition with proper tension. Freely operating and proper spring(s). Check both springs on CIS cars. Proper fittings and line conditions; no external clamps used on pressurized oil lines. Sufficient fluid, high performance fluid is recommended. The brake system must have been completely flushed/changed in the last 12 months, and the date last changed must be indicated on the NER Tech Form. Brakes must be bled between events, with the Date Last Bled indicated on the Tech Form. Tech Forms with missing or invalid dates will result in inspection failure. All pedals must have free return and be in good operating condition. Brake pedal must be firm. Mandatory for all open & semi-open cars without manufacturer’s structural or deploying roll over protection; roll bars must pass the broomstick rule* and must be covered with closed cell foam padding in any place where a helmet could come in contact with the bar. Required on all cabs except Boxster, 914, 996, 997, 991 & Targa which are all permitted, as is, at NER events. All soft tops must be up/hard tops installed or car must have 5/6-point harnesses, proper race seats (see "Harnesses"), arm-restraints, and driver must pass “broomstick” rule. Broomstick Rule: the driver's helmeted head is below a bar placed on top of the roll bar and windshield. Strongly recommended but not required. Securely mounted, metal-to-metal (metal bracket, bolts), within reach of driver. Class BC or ABC rated, 2.5 lb. min., fully charged. Note: Many other regions do require a properly installed fire extinguisher so be sure to check the host region's requirements. Some regions allow a one-time exemption from the fire extinguisher requirement for students participating in their first DE event. The student must advise the pre-event tech inspector of his/her first-timer status. Any questions should be directed to the host region's Scrutineer. Factory or better lap and shoulder restraint system installation both seats; securely mounted; must not be frayed, worn, abraded, or cut. Standard Original Equipment three point belts used with any type seat, including "racing" or "sport seats", are acceptable. Two-point lap-only belts are not acceptable with any seat. 65-68 900 series require relocation of the lap belt mounting points rearward. All 5/6-point harnesses must be used with "racing seats" equipped by the manufacturer with belt routing holes for the shoulder and anti-submarine straps. No add-on or "home made" modifications of any type to these seats will be accepted. Sport seats without lap belt holes, but with correct manufacturers built in sub-belt and shoulder belt holes will be accepted providing the seat design allows the lap belts to be low and tight around the waist. Harnesses should be anchored to factory-mounting points or roll cage structure, wherever possible. Shoulder harnesses must route over a harness bar or roll cage/bar. Connecting directly to a "harness truss" is acceptable. Shoulder harnesses must not be angled downward more than 40 degrees from the chassis' plane as they leave the shoulder. All belts must be securely mounted to the vehicle. Eye bolts are suggested for lap belt mounting points so that the mounting point has a degree of freedom as to not place an uneven load between the belt webbing and belt clip. Lap belts must be routed in such a way that the belt adjustor does not get caught in the seat causing it to "dump" when placed under heavy loading. "US Grade 5 or Metric 8.8" or better hardware must be used. Harness must be replaced every five (5) years. It is the recommendation of the track committee that harness users follow the replacement interval of the harnesses' manufacturer if it is less than five years. Schroth Quick Fit, Schroth Quick Fit Pro, and Schroth Rallye four (4) point harnesses for use in various BMW, VW, Subaru, Ford, Audi, and Mini models, conforming to the Schroth installation guidelines is acceptable. Four point systems are not allowed in Porsches because of the integrated headrest supplied by the factory (except as detailed in the previous section). Only vehicles on the Schroth vehicle reference list can install Schroth four point harnesses. Equal restraints are required for driver and passenger (if a passenger seat is present). "Equal restraints" means both occupants have the same level of equipment. NER/Zone 1 regions require that all instructors' cars that may take a passenger have equal restraints and that they "default up to the higher level of protection", i.e. if one has a five-point harness, both must have them. Note: The following MOMO harnesses will not be permitted at any NER/PCA event because of safety defects: FIA B-143.T/98, FIA C-154.T/98, FIA D-153.T/98, FIA D-142.T/98, and SFI 16.1. Doors must be operable from inside & outside. Windows must lower fully. Snell SA2010, M2010 or K2010 (or newer), no cracks. An eye shield, or other eye protection, is recommended. The helmet must have a secure chinstrap, which must be used at all times. A full face SA helmet is preferable. *A number of tracks and organizations no longer allow M-rated or K-rated helmets. If you are purchasing a new helmet, we recommend a Snell 2010 or 2015, SA-rated. Any questions on helmets should be directed to NER's Scrutineer. For more information on Snell ratings, check out the Snell Memorial Foundation website. Long-sleeved shirt and pants. No synthetic materials. No red or yellow clothing for work assignments. Either closed-toed shoes with rubber soles or Nomex driving shoes (we recommend that you don't drive in sneakers, as the soles are too thick for proper feel and control).